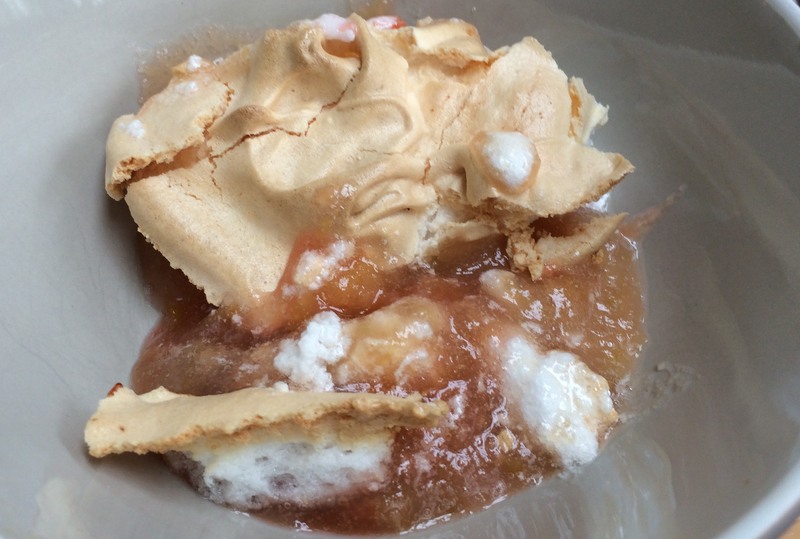 Apple and Plum Meringue couldn't be easier to make. Naturally gluten free, it makes a delicious topping to your favourite fruit. A lighter alternative to crumble or pastry. This is a great alternative to crumble and tart particularly in the summer and is rapidly becoming one of our favourite gluten free summer desserts. 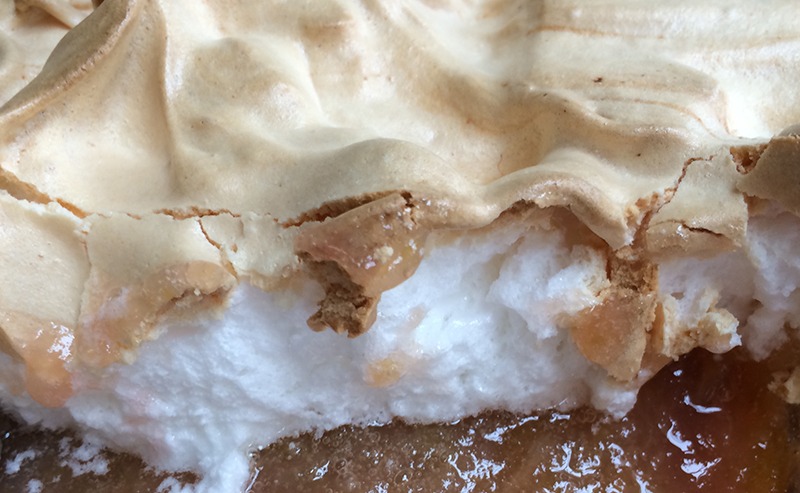 The meringue needs only two simple ingredients and a good mixer. You can make this by hand whisking with a balloon whisk but a mixer is much easier and quicker! These quantities are for a dessert which will feed six people. 2. First prepare and stew your fruit. Peel, core and slice your apples. Wash and de-stone your plums. Place them all in a pan with sugar and water. Bring to the boil, quickly reduce the heat and simmer gently until the fruit is soft but still with some texture and shape. Take off the heat and allow to cool. 3. 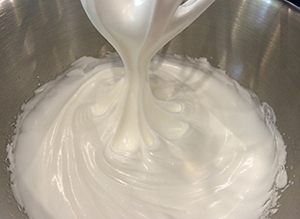 To prepare the meringue place the eggs whites in a clean bowl and whisk them until they form soft peaks. 4. Add the sugar a little at a time whilst still whisking until smooth, stiff and glossy. 5. 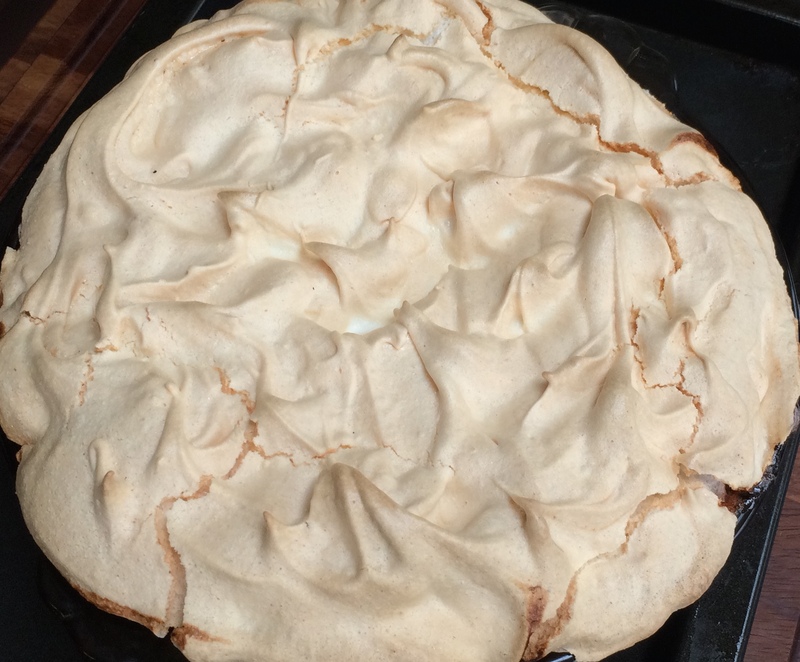 Your meringue in now ready to gently spread on top of your fruit. 6. Cook for 30 mins until lightly brown on top.